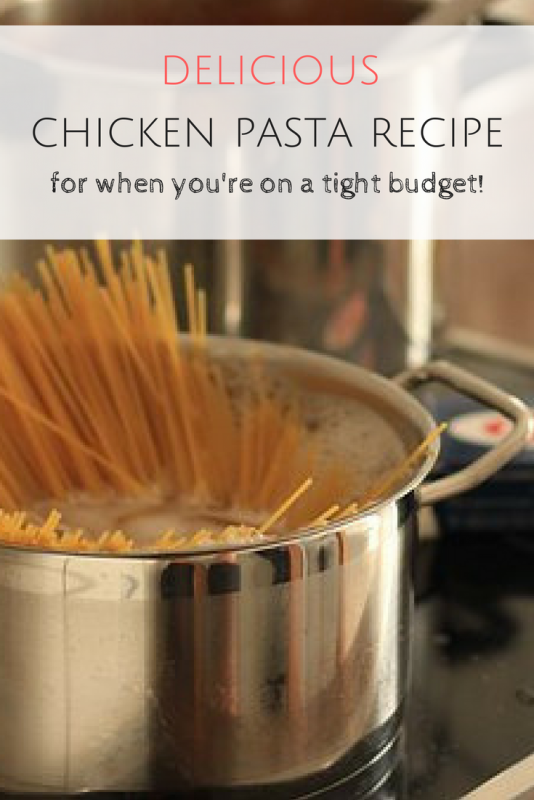 This chicken pasta recipe is perfect for those of us on a budget. You can adapt it to suit what you’ve got in the fridge too. If you can’t stretch to chicken, or you don’t have any leftover, then it makes a lovely sauce on it’s own. It’s also really quick, so perfect on those evenings where you want to cook something reasonably healthy, but you’re really short on time! This takes around 5 minutes to prepare and around 20 minutes in total! When possible, I always aim to cook from scratch. I like to know what I’m feeding the children – home cooked is usually the best way to make sure we’re getting a balanced and nutritious diet. I’m also always aware of how much we spend on food. Cooking healthy meals on a budget is something I’m working really hard on at the moment! I made this for a family of five, and we had a couple of portions leftover when everyone had finished. If you’re only cooking for two, you might want to halve the ingredients. If you want to batch cook, the sauce will freeze really well and can be used as a base for LOADS of other recipes – spaghetti bolognese, meatballs, and loads more. Your choice of dried pasta (quantity will depend on how many you’re cooking for and how big their appetites are). I used tagliatelle. Put pasta in a pan of boiling water and cook as per packet instructions. Heat the olive oil in a frying pan, finely chop your onions, crush the garlic, and fry together until softened. Then, serve over your favourite cooked pasta! It’s so easy! 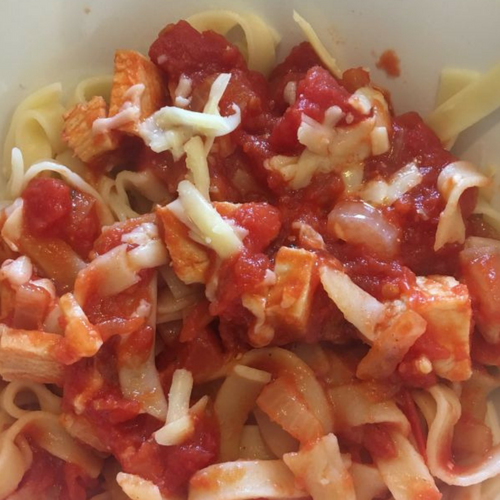 One delicious chicken pasta recipe that the whole family will love! We ate ours with a slice of garlic bread and sprinkled some cheese on the top. If you’re trying to be really good, or cut down on your sugar intake, you can cut the sugar out. If you fancy trying some more home-cooked meals, have a look through my food on a budget section. If you’re short on time in the evenings, then some of the slow-cooker meals would be perfect. 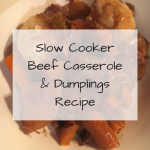 Slow cooked chicken curry is a big favourite in our house, as is slow cooked beef casserole and dumplings. What’s your go-to quick and easy meal? I’m on the hunt for more meals to add for those of us wanting to cook healthy meals whilst not breaking the bank. Looks tasty and cheap – whats not to like!